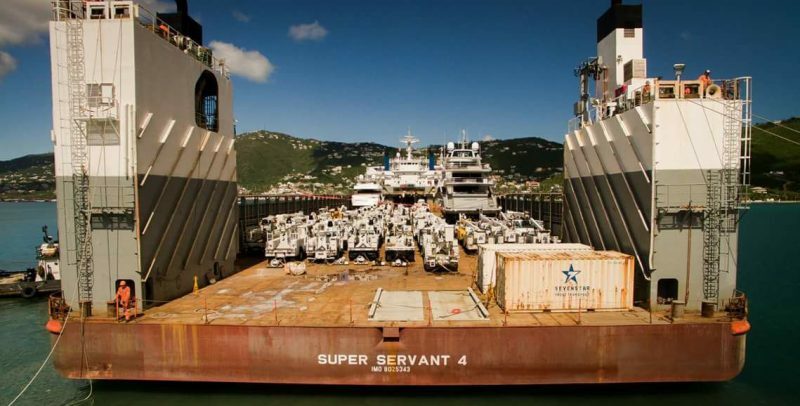 Haugland Energy (HE) was contracted by the Virgin Islands Water and Power Authority (WAPA) to provide emergency line crews and equipment for the restoration of electrical transmission and distribution systems after Hurricanes Irma and Maria devastated the area in late summer/early fall 2017. 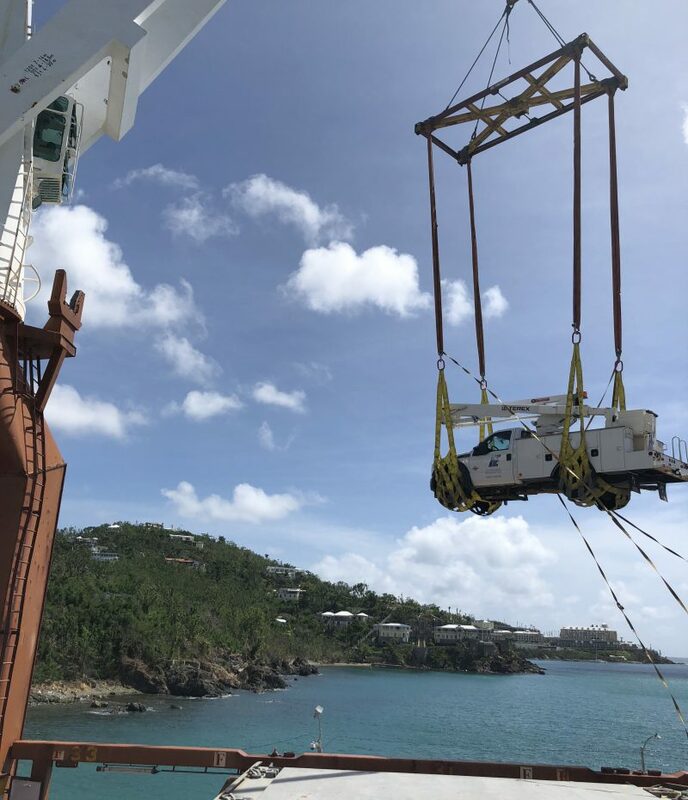 In the weeks immediately following the storms, HE dispatched more than 600 crew members to the affected areas of St. Thomas and St. Croix, flying in Union crews from across the country. 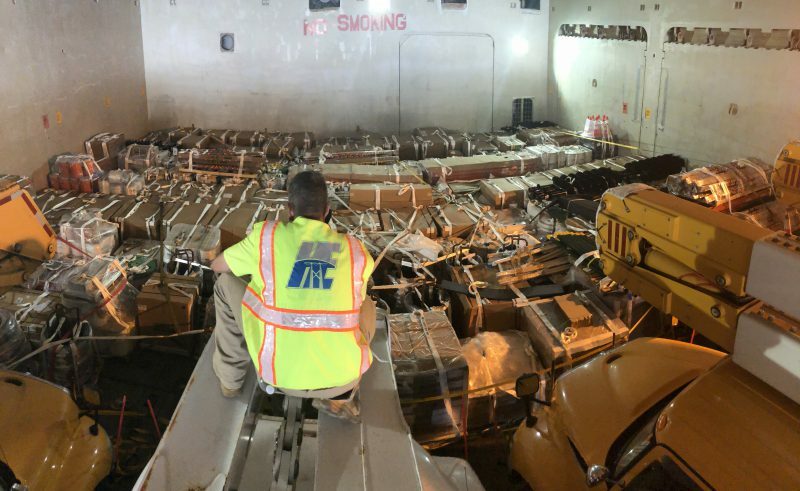 Overcoming some logistical hurdles of working on an island, more than 600 pieces of equipment were loaded onto multiple roll-on/roll-off (RORO) and load-on/load-off (LOLO) barges and ships to expedite the restoration efforts. Haugland Energy performed an initial damage assessment of more than 38,000 poles, and related wires and transformers. Damage assessment was tracked on tablets equipped with in-house developed GIS software. Photos were taken of the affected poles, before and after reconstruction, and work was reported daily to both WAPA and FEMA. Status progression and scheduling reports include tracking the current live status of line construction work in-progress of all crews operating on WAPA's system. Overall work percentage reporting of actual VS. known damage is ascertained from the initial assessment. 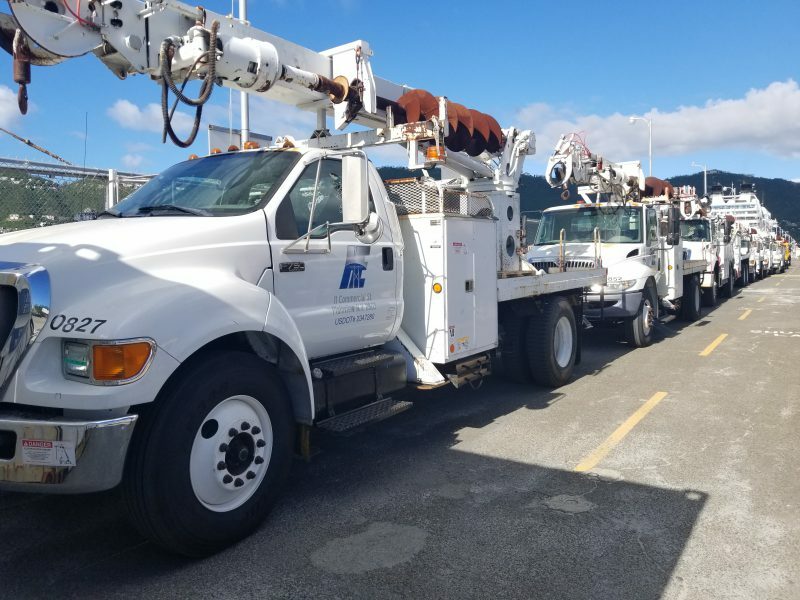 The current energization status of more than 68,000 customer meters were evaluated by HE crews, as well as work to determine if the meter socket, weatherhead and associated services were operable. Tablets were used to include photos of the meters, and daily reports were filed on the installation of transformers and meters energized. Innovative approaches to project execution, like those employed on the WAPA project, highlight Haugland Energy's ability to partner with and understand our clients' needs, regardless of complexity.